While plenty of people bet on greyhounds for fun, for many more it’s an extremely serious pastime. If you are in the know about greyhounds, then there are reasonably handsome profits to be made. If you want to up your chances of success using dog racing bets, then you’re going to have to do your homework. Here to start you off are a few top-notch greyhound racing tips. Learn how to choose value bets as opposed to short-odds favourites. A value bet is one where the odds are higher than they ought to be. This is quite a skill to acquire but the better at it you become, the easier you will find it to spot them. Male dogs peak performance-wise when they are around two years of age. Female dogs peak a little later – between two and two-and-a-half. Bookmakers are experts at accurately figuring out the correct odds for greyhounds, but will be swayed by punters in order to minimise their pay-outs. If you see a dog drop from favourite when the prices are released to second or even third favourite, it’s usually because a lot of money is being placed on other runners. A place bet on the ex-favourite is usually a profitable one. A straight bet is always the best bet. 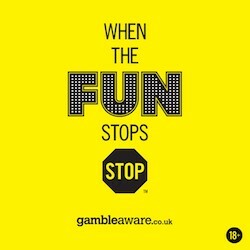 Avoid accumulators – they pay big but the more selections you have, the greater the chance of failure. Keep it straight and don’t be tempted by rank outsiders. Any greyhound that improves in price significantly is always worth betting on. Stark price improvements are often a sign of ‘insider information’ pertaining to the runner, and the bookmaker making adjustments appropriately. Dogs are more susceptible to surprise poor showings than, say, horses. If a dog is in consistent good form but with frequent bad races it’s probably best that you avoid placing big bets on them. Take notice of the traps! Some dogs prefer the outside traps and dislike starting with dogs either side of them, and some dogs are completely the opposite. Looking at the race form will allow you to work out if a dog has a trap preference. Dogs that do not run well in the pack will falter by the first bend if they are in traps three and four, as they will be bumped out of contention. Avoid young dogs and underweight dogs in these traps too. Hunt around for your ideal bookmaker, particularly online. Make sure they have a valid UKGC licence, have a decent track record when it comes to customer service and if they have a habit of closing customer accounts that are too successful. Look out for regular dog racing bonuses and promotions. Never, ever gamble with more money that you cannot afford to lose, and never, ever chase your losses. If you have a bad run, walk away and take a break. Even the most experienced greyhound bettors will suffer a poor run of fortune – it’s just something that happens to everyone, and it will happen to you.